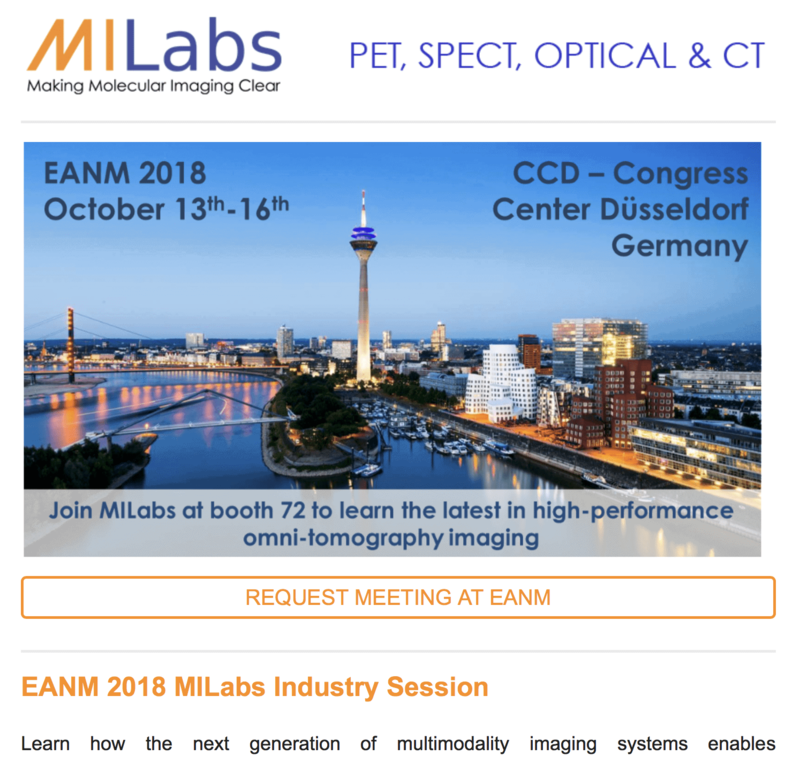 Learn how the next generation of multimodality imaging systems enables advanced omni-tomographic imaging applications. Dr. Felix Gremse, from the RWTH Aachen University Clinic in Germany, will give the keynote lecture in which he shares the latest advances in hybrid optical tomography. 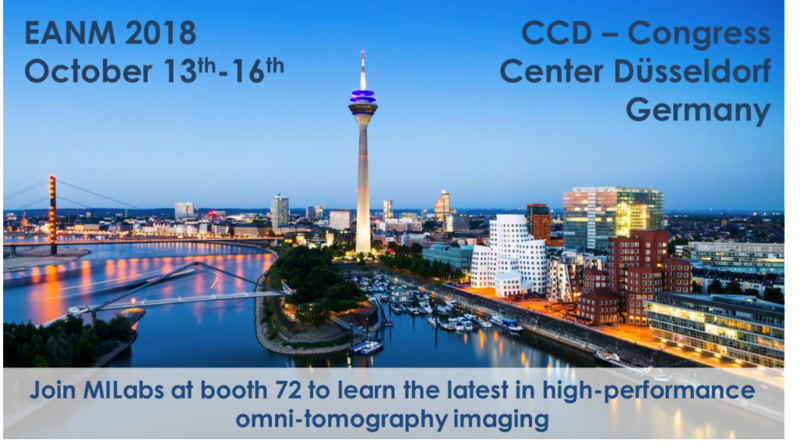 MILabs’ founder and CEO Prof. Frederik Beekman will explain how MILabs’ VECTor-6 Broadband Photon Tomography – WMIC 2018 Innovation of the Year – takes the versatility of multi-modality preclinical imaging beyond the limits of current PET, SPECT, CT, and Optical Imaging. We interviewed Dr. Veerle Kersemans, Lead Scientist at the Imaging Core of the Department of Oncology at the University of Oxford. She explains how the VECTor PET/SPECT/CT can be seamlessly integrated with other imaging modalities, including MRI. The synergistic multimodality capabilities of their platform are exploited both to improve the clinical relevance and translational capabilities of research at the CRUK/MRC Oxford Institute for Radiation Oncology, as well as to enable multimodal imaging characterization and image-guided radiotherapy of preclinical models of cancer.